The Walibi theme park in Wavre near Brussels (Belgium) is renowned for its Halloween spectacular, when its rides are ghoulishly transformed. Awarded best Halloween attraction in Europe for three consecutive years – 2014, 2015 and 2016 – in the prestigious Diamond Theme Park Awards, expectations were very high for Walibi at the end of last year, and with the help of AV Stumpfl’s Wings IObox hardware module platforms, they were surpassed with the creation of Asylum. The brief for Asylum was to transform a ride into a haunted house while making use of the latest automated AV technology to create an immersive and unforgettable experience for the public. DW Production was engaged to build from scratch all rooms and aesthetic decoration for the attraction as well as the music and effects and animatronics, with GSF Events taking the lead on the technical aspects of the ride with the help of AV Stumpfl’s distributor AED. 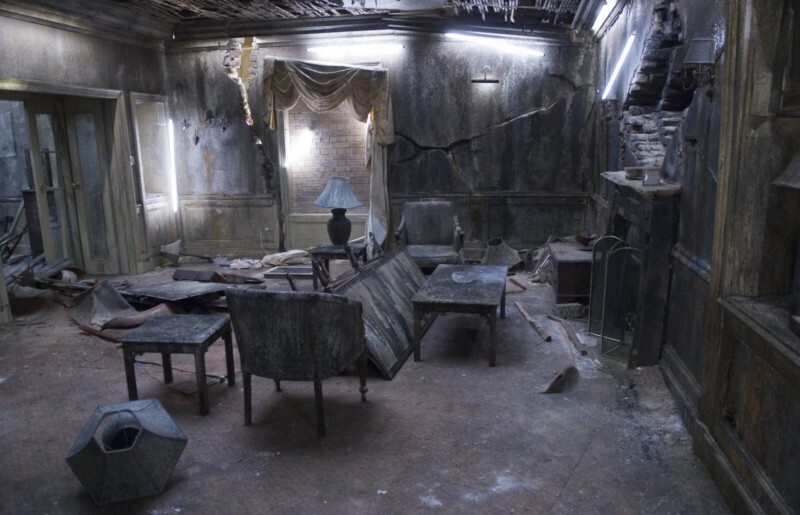 This story unfolds as visitors to the attraction pass through a series of eight rooms in total, starting with Igor’s hotel reception-style desk, moving into the dormitory where zombies are starved and made dependent. From there, thrill-seekers move along Igor’s access corridor with haunted mirror, into the canteen where hungry zombies await their meal. Next up is the bat-infested corridor with collapsing ceiling, followed by Igor’s experiment room. Finally, the cellar where Igor realises humans are more use to him than zombies, and the labyrinth where humans are trapped in endless corridors. It was clear that Asylum would need a robust and powerful solution to handle the seamless automation of hundreds of interactions; weather the heavy footfall and deliver on reliability – and of course, simultaneously delight and frighten all who passed through the haunted doors. The challenges were faced head on and ably overcome. GSF specified one IObox DMX and one IObox Relay module, along with an external sound card to manage a total of 28 audio channels, all controlled by an AV Stumpfl main server for a multi-room audio immersion. This network allowed for seamless integration and management of video content, audio stream and animation triggers. DW was responsible for writing the script for each room and GSF programmed the network and modules. Asylum ran for the whole duration without a single technical failure. 30 actors were present in the attraction but no technician was needed, thanks to the automatic cues delivered by AV Stumpfl’s solid state modules, which made the public the cue manager as they experienced the ride. The attraction was completely managed with a single start/stop button. AV Stumpfl’s IObox compact and smart hardware modules have been designed to simplify and enhance interactive AV installations. Their full solid state design allows for 24/7 usage and seamless integration into the Avio network thanks to Avio Manager software. This award winning workflow brings network control for switching inputs, outputs, DMX and serial devices. The ability to automate the entire process of the ride end to end meant that there was no need for technicians in a control room. In addition to their reliability, the AV Stumpfl modules delivered significant cost savings, not to mention peace of mind.